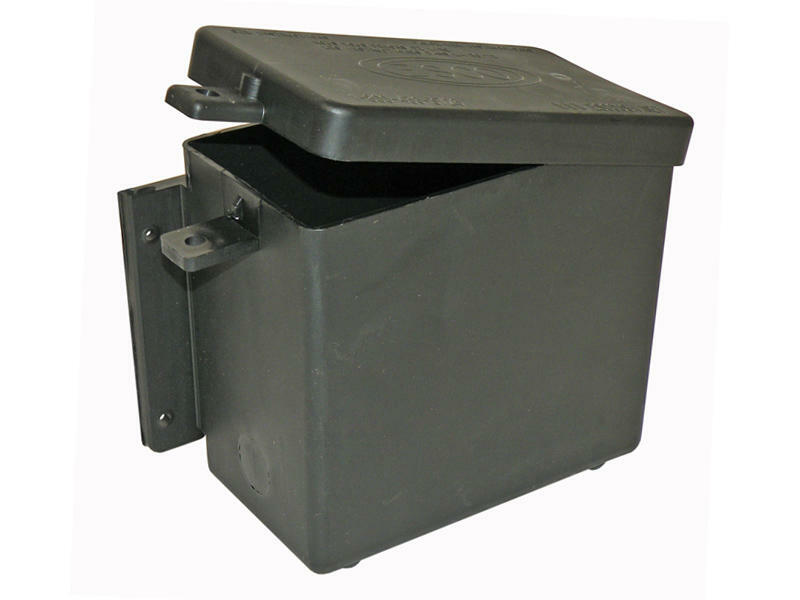 Black plastic battery box for heavy duty trailer breakaway systems using a 9 amp battery. Inside measurements are: 6" long x 3" wide x 5¾" tall. Box lid includes plastic tab for padlock (sold separately).